Thoughts from a Traveling Tech: I may be lost or something. As I checked in to the hotel this week I chatted with the people behind the desk and had a grand old time discussing how people are always in a rush and aren't always so nice to the desk clerks these days. 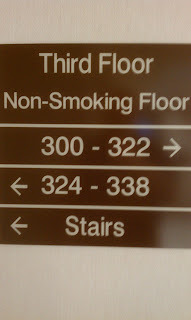 They handed me my key and I headed up to the 3rd floor to my room, 323. 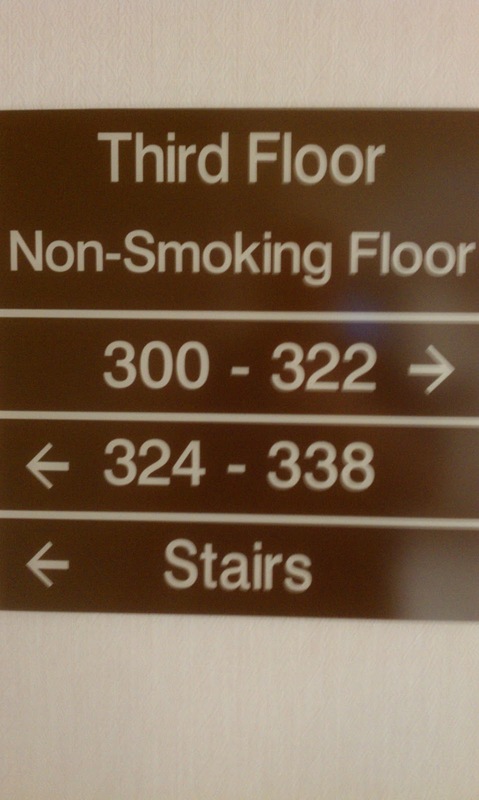 Imagine my concern when I get off the elevator and I am faced with the sign to the right? Am I about to have a very uncomfortable visit? Where is Rod Serling?